Jacques Rogge, president of the IOC, on his first visit to Vancouver February 1, 2005 told the media on a number of occasions that Mosi Alvand co-owner of the small Olympia Restaurant at 998 Denman, could not continue to use the rings and torch he has so proudly displayed on the outside of his building and in his menus since 1991. Rogge stated that the reason Mosi could not continue his fifteen year tradition was because he believes Mosi does not contribute to Olympic amateur sport. Well ... Rogge is wrong. Mosi and the Olympia Restaurant do contribute to the Olympic movement. They contribute every time someone walks by the restaurant and every time someone orders food from their menu. Every time someone sees the name, the torch and the rings they think of the Olympics - and they do so in a most positive way. They are not there because they think it is an Olympic sanctioned establishment. They are there because they think the little restaurant embodies the persona or the spirit of the "old" Olympics. They talk a good game, but come up short on delivery. Thankfully they have someone like Mosi to create good spirit. 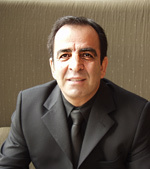 Mosi Alvand and his partners have been the most visible beacon of Olympic Spirit in the Vancouver area for the last fifteen years, or at least they were until 2010 Bid fever hit town a few years ago. Ironically, Dr. Jacques Rogge wants to kill that spirit. Olympic athlete wants to kill the 2010 Olympic spirit. It escapes me how VANOC and the IOC think that forcing the Olympia Restaurant to cease and desist a tradition that has been carried on since 1991 will be a good thing for Olympic Spirit in 2010. For the life of me I cannot figure out how they think that bullying Mosi into submission will be good for amateur sport in Vancouver, or Whistler, or British Columbia, or Canada, or the world. We teach our children not to bully in the school yard, but large corporations pay no heed. Will they ever learn? I am completely flummoxed (there's a word I don't use often or lightly) as to why they think that if they beat him down or hold his head under the water until he cries "Uncle" that it will be a good thing for the success of the Games in our region, not to mention amateur sport. They only thing I can think of is that they think Mosi, who immigrated to Canada fifteen years ago will retreat like all the other people and businesses the IOC has intimidated over the years. All I can think of is that they don't consider Mosi an exception. All I can think of is that VANOC and the IOC want all the profits for themselves and that they are not going to even consider sharing with small or midsize businesses in the region. All I can think of is that VANOC and the IOC are worried that large corporations like Bell would not be interested in sponsoring the 2010 Games if Mosi waters down the brand. Interestingly though it doesn't seem to be much of a concern for Bell. In fact Mosi's restaurant was such a nonevent to them that they outbid local rival Telus by $65 million in order to secure the prestigious position as official sponsor. If Bell did have a problem with the Olympia I'm sure they would have tugged on John Furlong's, or Jacques Rogge's lapels during negotiations and said, "Hey, what's with the little guy on Denman Street? Either he goes or we walk." Speaking as a business person who has managed many big buck sponsorship agreements with Fortune 500 companies, I don't think Bell is worried or that it will be an issue for future sponsors either. I can't speak for Bell, but I've actually managed sponsorship events with them, and I know they're not petty or shortsighted -- anything but. Something else you might find interesting ... Mosi's sign also hasn't concerned Bell GlobeMedia CTV and Rogers Media, central Canadian companies who recently joined forces and won the rights in early February 2005 to televise 2010 and 2012 for a record breaking bid of $153 million US (a 124% increase and double of what is being paid in Turino & Beijing -- CTV paid $4.5 million for the Calgary Olympic broadcast rights in '88). Richard Stursberg -- Executive Vice President of CBC Television said after CBC lost the bid, " ... the IOC itself has made it clear that it operates as more of a professional sports body than anything else." (click here to hear his interview in RealAudio) CTV is owned by BCE Inc., which also owns Bell Canada. Keep in mind that CTV and Rogers will never recoup their financial investment of $153 million US. It's important to note, especially for small and midsize businesses, that the CTV/Rogers involvement is primarily promotions driven. 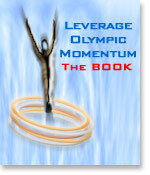 They are leveraging Olympic momentum to its maximum because they know the return in visibility will be incredible. SMB's should think likewise, but in their own, less grandiose ways. The amusing part of all this is that a week before CTV/Rogers won the bid CTV reported Mosi's story in a most flattering light. What are John Furlong and Jacques Rogge talking about when they say Mosi's sign is bad for the Olympics? Mosi to be the official mascot of 2010. The guy is a genuine human teddy bear. He's likable, affable and a great host. He's as cosmopolitan as you can get. If we can get Jacques Rogge, John Furlong and Sam Corea to pull their heads out of their bottom line before they really screw this up, maybe they will see it too. 3,600 people have signed a petition asking these three fine Olympic gentlemen to reevaluate their position, but unfortunately they refuse to consider that Mosi's case is exceptional. Apparently 3,600 people in Vancouver and around the world are wrong. Incredibly, the Olympic organization fails to see Mosi as an asset. Instead, they see him as a liability. If there is anything I learned during almost two decades of directing and promoting high visibility events for Grammy Award entertainers and Fortune 500 companies, events that were attended by and broadcast to millions of spectators and attended by U.S. Presidents, it is that if you want to manage a successful worldclass event, you have to be flexible. If I had to guess why VANOC and the IOC are so stubborn I would say that they aren't as worried about amateur sport as they are about losing profits in their branded restaurants during the event. They're scared of the competition. Rogge said that if he let Mosi do it, he would have to let everyone do it. What a small-minded thought wholly lacking in creativity. Let me assure you Mr. Rogge, just because you treat Mosi respectfully, and make an exception regarding his specific case, you can still sleep soundly knowing that it doesn't mean you have to treat everyone with respect. The challenge in reasoning with an Olympian mind is that they are myopic in their goal to win gold and they often don't think of the team. Think of the team Mr. Rogge. 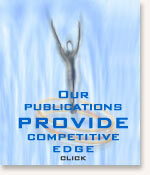 Vancouver residents and small and midsize businesses are part of the team. Historically, Olympic tourists do not patronize local restaurants in the manner it is sold to cities during the Bid. The big business Olympic machine has such an airtight plan in place that most of the tourist money is channeled to them through their own food establishments. Local businesses wither on the vine unless they do something to put themselves in the game. If Jacques Rogge still feels that Mosi does not contribute to Olympic amateur sport and spirit, could he please explain to us exactly how small and midsize business people in our community can contribute in a way that large corporate sponsors do? Can he explain what the current plan is so that small and midsize businesses can contribute and proportionally share in the profits that sponsors like Visa and Coca Cola will realize? Considering that it costs more to operate a business in an Olympic region, can he possibly show us how small and midsize business can be winners too and share in the spoils? If he can't, I can. All you have to do is click the link at the end of this article to find out. I'm disappointed that more politicians have not yet stepped forward to join Mosi's team. Jim Green has been the only politician so far to have the courage to voice his opinion and lend his support. Mosi voted for the Olympics and for the politicians in our region. He is just as much a Canadian and just as much a supporter of Olympic Spirit as anyone in Vancouver - in fact even more. He was here way before Olympic frenzy touched our shore, and he vows to be here long after the Games have come and gone. Where are Peter Ladner and the Campbell twins? Maybe they think that by the time 2010 rolls around that their political careers will be history -- so what the hell do they care? Maybe they're more short-term kind-a guys with big business interests. It's not as if they don't know what's going on here. Thankfully though, Mosi has a number of people in his corner, including me, but more importantly one of the most influential and well respected lawyers in North America -- Joe Arvay. Joe is the man best known for representing HaidaBucks and defeating Starbucks in a legal battle that made news around the world. It's also important to note that not only are people signing petitions, they're offering to donate money to a legal fund. When someone puts their money where their mouth is you know they're serious. It's good to have friends. Something else you should know -- journalists for the most part in the Vancouver region have been very sensitive to Mosi's situation. Most have treated him with respect and reported fairly and without bias. They report both sides of the story. 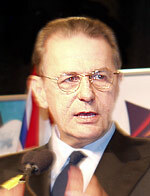 Some have even posed questions to Jacques Rogge on Mosi's behalf when it became apparent that Mosi could not gain access to the mountain. Some steered Mosi around the phalanx of IOC and VANOC protectors to give Mosi an opportunity to ask his questions directly. For the one or two hacks who made uninformed statements (starts with an "L" and ends with an "adner"), or who have reported that Mosi is an unconscionable opportunist, all I can say is, he's had the sign up for fifteen years. That should count for a lot. He's not a clairvoyant. He had no idea in 1991, 92, 93, 94, 95, 96, 97, 98, 99, 00, 01, 02, 03 that Vancouver / Whistler would win the Bid. In fact, for all anyone knows, it could be because of Mosi that people here love the Games so much that they voted YES! OK, I'm kidding -- well, half-kidding. But there is no doubt that Mosi has had a positive influence and helped endear the Olympics to hundreds of thousands of Vancouver residents and visitors over the years. The Vancouver Board of Trade, even though they were very nervous about having Mosi in the audience during Rogge's luncheon at the Hyatt Regency, and who had a lot at stake if something went awry, were respectful and cooperative. They trusted Mosi to act professionally and courteously and he did. Mosi did everything he could to be as least-disruptive as possible during Rogge's speech in the room of 800 people, but his story is so controversial that television cameras and journalists constantly hovered around his table and at one point even followed him to the washroom. Mosi even went as far as to hold a press conference at the Hyatt Regency half an hour before Rogge's presentation in a move to dispel fears that he would be disruptive ... and to set the record straight. Needless to say, Mosi is surprised by the attention. He's not denying that the media fuss has slightly improved business, but VANOC and the IOC have made him feel vulnerable and intimidated, and if it wasn't for everyone's support he might have given up. By far though, the spirit that keeps him going is his family. His restaurant is his life, and if VANOC and the IOC take away his symbol of pride he feels he will have failed his family and everyone who supports him.